Some foods and drinks are undeniably seasonal—for instance, the pumpkin-spice latte during autumn months or minty-green milkshakes in springtime. But no matter what the season, snacking is always in—80% of consumers say they snack at least once a day, according to Technomic’s 2018 Snacking Occasion report, with a majority of that 80% doing so twice a day (34%). And as for what people are reaching for when they want a snack, 13% say they’re consuming more sweet snacks than they were two years ago, while 13% say the same about salty snacks. More commonly, though, 34% say they are snacking on healthier food. The trend of more continuous snacking isn’t likely to slow down anytime, but with summer here, some consumers may be looking for lighter, better-for-you snacks. To ensure all shoppers can find something they want to eat this summer, check out some of summer’s trending snacks—from flavors to format and beyond. 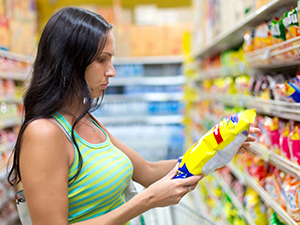 About a fifth (19%) of consumers ages 18- to 34-years old say they are purchasing more packaged snacks from retail than they were two years ago, according to Technomic’s 2018 Snacking Occasion report. Perhaps that is due to being busier and having more to do—and that certainly doesn’t change during the summertime, when people go from work to happy hour to the beach with the kids to a cookout. The need for nutritious, grab-and-go snacks is omnipresent. Retailers can stock items such as Sensible Foods Tropical Blend crunchy dried fruit that contain a variety of 4 fruit servings and are easy to transport for on-the-go snacking. For those consumers who are looking for nutritious snacks, the options available are tastier than ever before. Items such as Harvest Snaps crispy pea-pod shaped snacks are made with whole peas and have unique flavors like Wasabi Ranch and Parmesan Roasted Garlic that are truly tasty better-for-you snacks. Harvest Snaps also have more protein, less fat and fewer calories than other traditional snacks, so the incremental sale to a health conscious shopper is better for retailers, too. Among nutritional attributes that consumers are looking for, Technomic’s Snacking Occasion report finds that protein is highest ranked, with 52% of consumers saying high-protein snacks are appealing, followed by energizing (48%) snacks, snacks that are high in vitamin C (44%) and snacks that are high in fiber (43%). Beyond portability and healthfulness, consumers are interested in trying new flavors at snack time—almost a third (31%) of consumers say that they would purchase more healthful snacks if unique flavors were available, and snacks, with their smaller portions than entrees, encourage consumers to try new and unfamiliar flavors. According to Technomic’s Snacking Occasion report, 24% say they are more likely to order new or unique items as a snack than as a full meal. These numbers are higher among younger consumers, too. New innovative snacks like Nutter Puffs, a puffed corn snack made with real peanut butter, are set to meet the demand for higher protein snacks and unique flavor choices. Nutter Puffs deliver 5 grams of protein per serving and are available in Peanut Butter and Peanut Butter Chocolate. As for the types of snacks retailers can offer to appeal to more traditional health conscious shoppers, snacks like string cheese, fresh fruit, and yogurt are always great options, as is beef jerky flavored with marinades such as mojo lime. Convenience stores haven’t always been known for their vast array of unique and craveable healthy snacks, but with summer upon us and consumers looking for lighter fare, retailers should consider offering packaged snacks made with lean proteins, veggies, fruits and more.